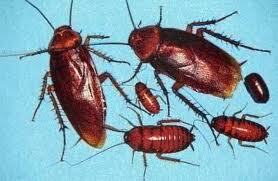 The American cockroach is a pest found in homes and commercial buildings where food is prepared or stored (such as restaurants, grocery stores, etc). They can be found indoors and outdoors, and commonly breeds in sewer systems and underground utility networks. The American Cockroach is commonly called a “water-bug” or “palmetto bug”. The German cockroach is a very common household roach in Alabama. They are about ½” long and are tan or pale brown with two parallel black lines on the shield that covers their head. 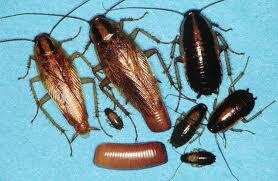 Although these roaches have wings, they do not fly. German cockroaches are most often found near sources of food like the kitchen or pantry, especially if crumbs are to be found.